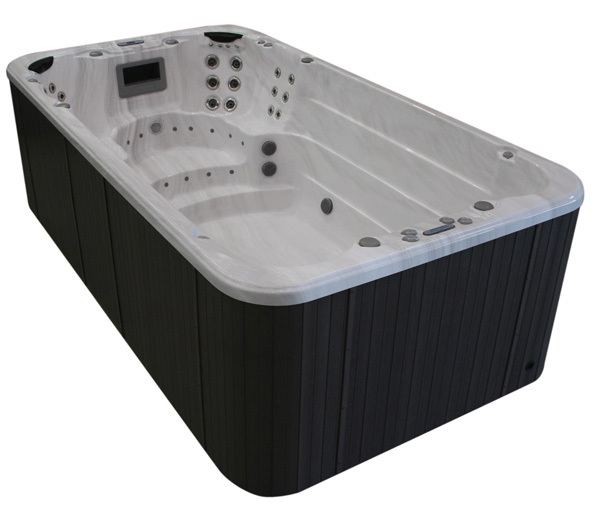 The Infinity™ V-Stream Series Swim Spa is enhanced with features to cater for the whole family. 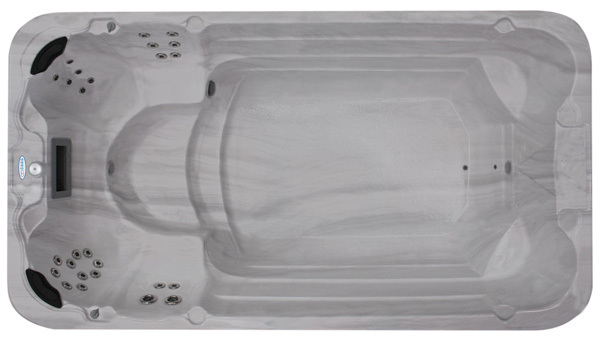 The best of Hydrotherapy and relaxation options, and the longest swim length available in the Industry in a six seater spa. At the spa end, there are four seats designed to give you the comfort, relaxation and hydrotherapy massage you would expect from a top-end spa. An additional two jetted seats are located in the swim end. The Series 1 option is fitted with a Super Swim resistance trainer, consisting of a flexible fibre rod and adjustable belt. The Series 2 & 3 options are fitted with swim jets at the swim end, the V-formation jetting provides the ultimate fully adjustable swimming current to satisfy the strongest swimmer, yet with a simple fingertip adjustment of the controls, the smallest children or beginner swimmers are also catered for. The Infinity V-Stream Series also comes with individual air control for each seat, and an optional built-in stereo system complete with pop-up speakers. @2019 Instyle Pools & Spas. All Rights Reserved.